At a time when women did not commonly travel unescorted, carry a rifle, sit down in bars, or have romantic liaisons with other women, Lucy Lobdell boldly set forth to earn men's wages. Lucy Lobdell did all of these things in a personal quest to work and be paid, to wear what she wanted, and love whomever she cared to. But to gain those freedoms she had to endure public scorn and wrestle with a sexual identity whose vocabulary had yet to be invented. In this riveting historical novel set in upstate New York in the 19th century, William Klaber captures the life of a brave woman who saw well beyond her era. 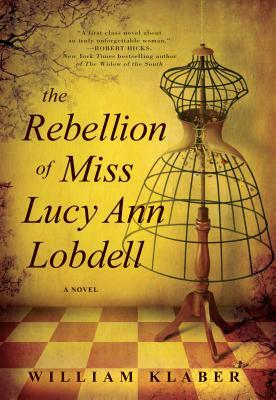 The Rebellion of Miss Lucy Ann Lobdell is the fictionalized account of Lucy's foray into the world of men and her inward journey to a new sexual identity. It is her promised memoir as hear and recorded a century later by William Klaber, an upstream neighbor. Meticulously researched and told with compassion and respect, this is historical fiction at its best. William is the coauthor of Shadow Play: The Murder of Robert F. Kennedy and author of the novel The Rebellion of Miss Lucy Ann Lobdell.